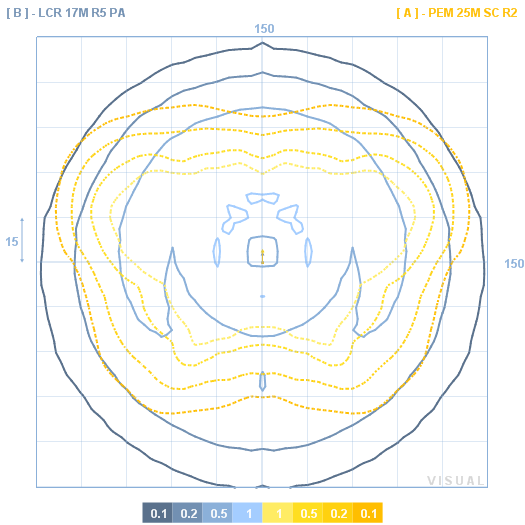 The Template Tool can be used to view iso-illuminance contours also called templates. 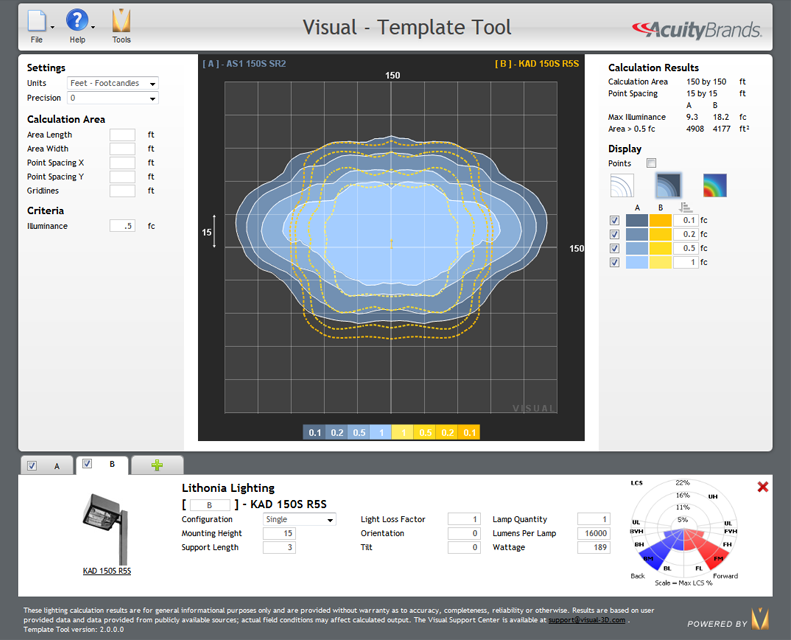 You can also compare the templates of two luminaires simultaneously or view the point by point illuminance differences. 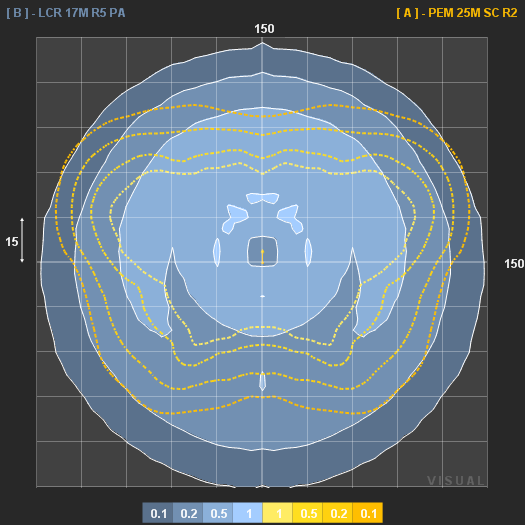 The Template Tool allows for simultaneous comparison of two luminaire templates. This is a great way to quickly and visually contrast the performance of outdoor fixtures. 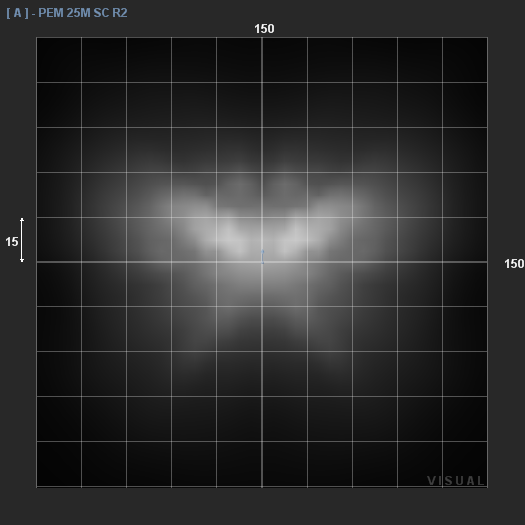 It is also possible to bring up a 'Delta' grid that shows the point by point difference in illuminance over the calculation grid. To control what luminaire(s) template(s) are shown simply check or uncheck the checkbox in the luminaire tab. Only two fixtures can be selected at a time for display.